Prince William is set to name his old friend Guy Pelly ? who organised his stag party ? as godfather to Prince George. Former Mahiki nightclub boss Guy (31) may seem a controversial choice as he’s known for his hell-raising party antics and is currently facing trial over a drink-drive charge ? which he’s pleaded not guilty to, claiming the breathalyser was faulty ? 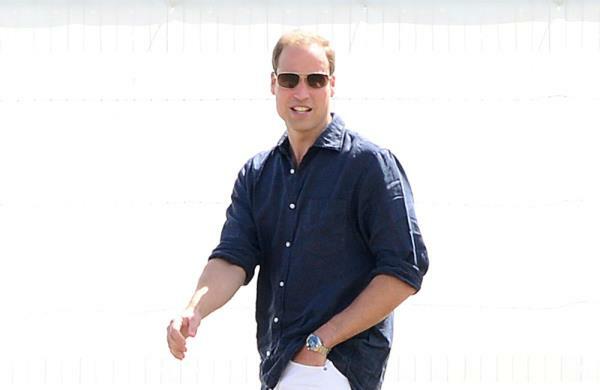 but he’s also been a close confidant of both Prince William and his brother, Harry, for many years. A source told The Sun newspaper, "He is thrilled to bits about being picked and everyone was congratulating him. "He's been told informally by the prince. Guy's been a very discreet and good friend to William over the years. Those are qualities he wants to pass to George." Prince Harry and Duchess Catherine's sister, Pippa, are also expected to be asked to become godparents. Other people said to be included too are James Meade, the son of an ex-Olympic equestrian champ; William's estate agent friend Thomas Van Straubenzee and the duchess' old schoolfriend Alicia Fox-Pitt. Prince George's baptism is thought to be taking place soon, with a christening which will then be followed by a family party.